Just like every single OS version before it, Android 9.0 Pie is progressing at a fairly slow pace, gradually making its way to popular high-end phones released over the past couple of years and, unfortunately, very few mid-rangers and entry-level devices. But eventually, the newest flavor of Google's industry-leading software platform will undoubtedly become prevalent, and the search giant is already laying the groundwork to ensure your favorite apps won't get left behind. Starting August, at which point Android Q will probably roll out to the company's Pixel handsets, the Play Store will require new apps to target API level 28 or higher. API stands for application programming interface, and the operating system's level 28 coincides with build number 9.0. In other words, developers working on Android apps they may want to see published in the Play Store in the fall will need to comply with new interface regulations. 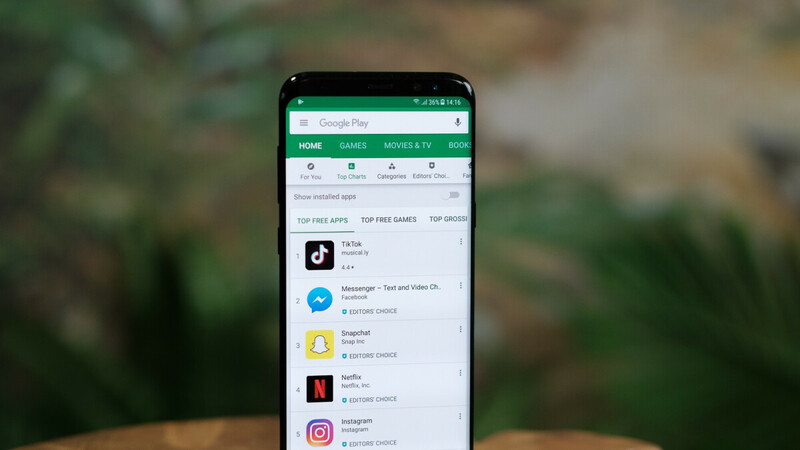 Even simpler put, all new Google Play apps will have to support Android Pie-running devices in six months, while existing apps will no longer be permitted to receive updates targetting an older OS version starting in November. Of course, developers are free to also support as many old Android flavors as they want. But if they stop at Oreo or Nougat when it comes to the latest OS build supported, they won't get permission to publish their apps or push updates via the official Play Store. Similar to a requirement imposed on app updates in November 2018 to target API level 26 (Android 8.0) or higher, the new policy should help "advance the security and privacy protections of Android", as well as improve the general user experience in various substantial ways, like preventing apps from "accidentally overusing resources like battery and memory." Basically, as newer versions of Android continue to enhance your phone's security and optimize the user experience, so can third-party apps provide better stability and privacy control with higher API level targets. Interestingly, while Google obviously can't enforce these rules outside of the Play Store, you will be warned starting in August during the installation of an app that doesn't target API level 26 (Android 8.0) or higher, regardless of where said app might come from. That way, you'll know there's a greater risk of getting spyware on your device from some sketchy Chinese developer or other bad actors. Good. Now google, separate android enough from vendor to be able to get updates directly from you. Can't do that, it's open source. If people start to prefer pixel devices over others, then OEMs should start to make devices that they can update more quickly. “some sketchy Chinese developer“ Was that really necessary?